The Razorbacks have revealed their throwback uniforms they will wear on March 2nd this season. The look is a nod to the to the 25th anniversary of Arkansas’ National Championship team. 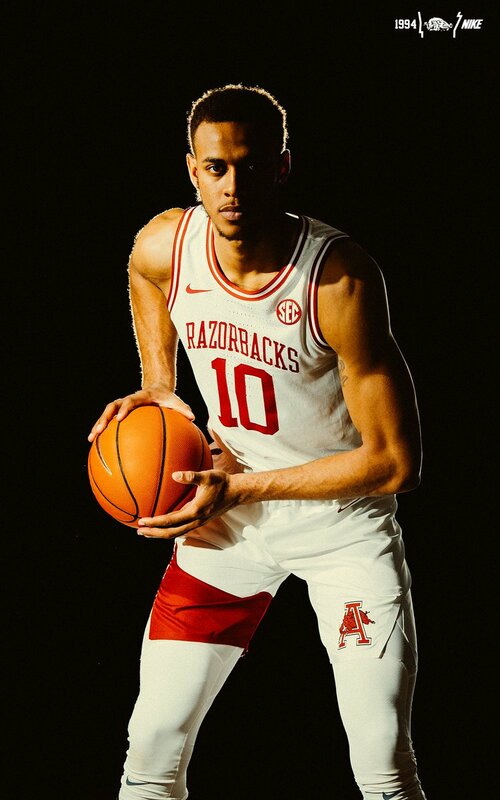 We see the Razorbacks wordmark across the chest of the white jerseys with the old school logo on the shorts.